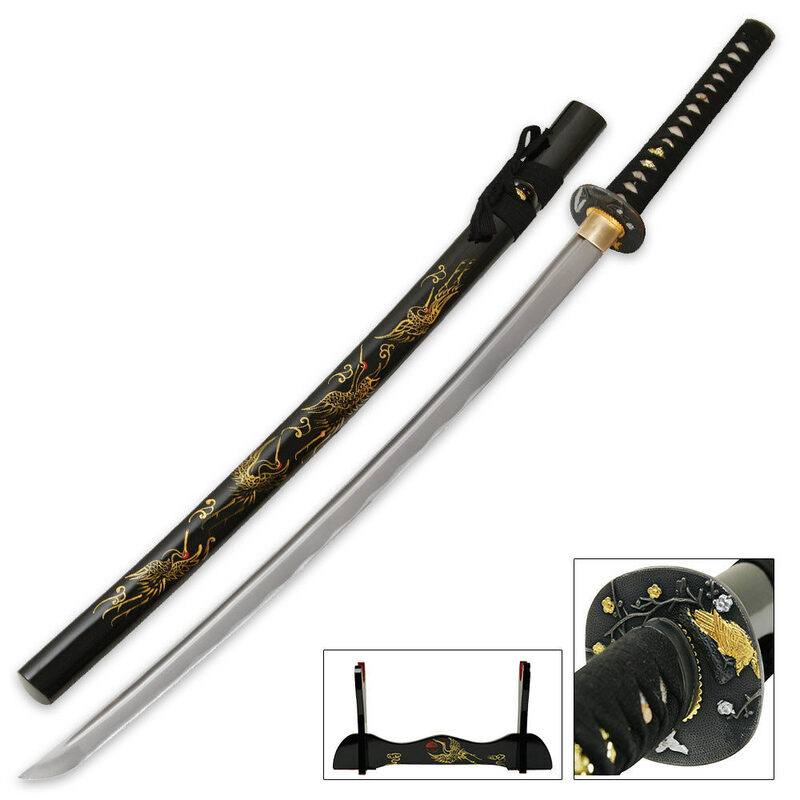 This Ten Ryu carbon steel katana sword is a treasure to behold, featuring a hand-forged carbon steel blade with a heavy blood groove and hand-sharpened edge. 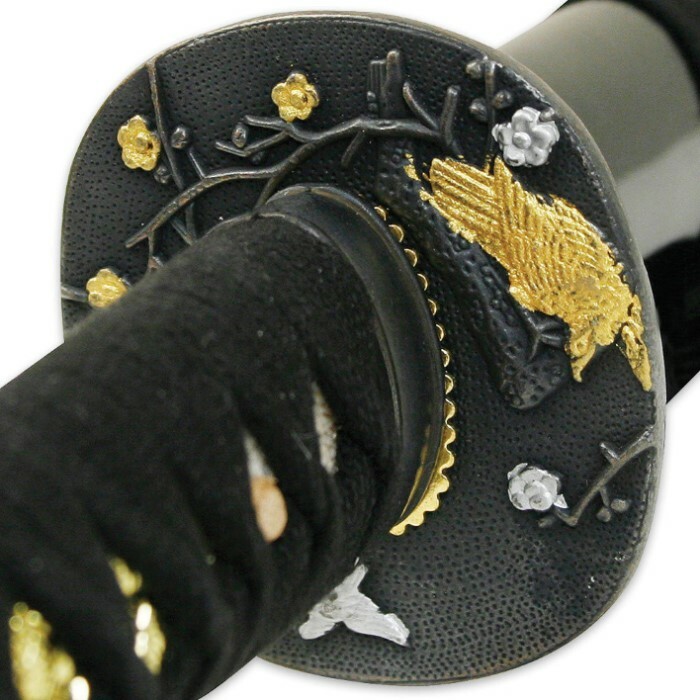 It is overflowing with stylish embellishments including a cast zinc alloy crane tsuba, brass habaki and menuki, and a genuine ray skin handle with elegant cord wrappings. 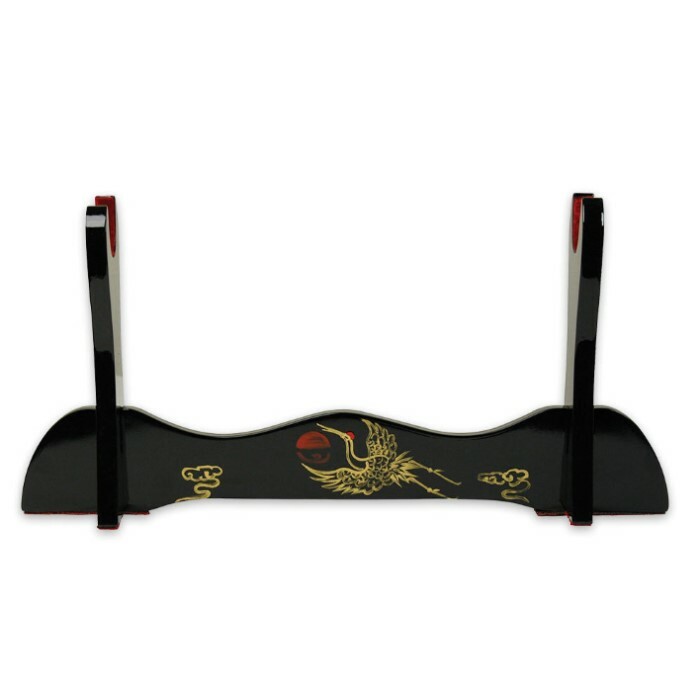 A hand-lacquered scabbard with an intricate crane printing houses the 26.5"" blade. This collectible edition also includes a matching lacquered display stand with a red velvet holder so that you can showcase this edged masterpiece proudly.All of these exquisite elements culminate in a show-stopping masterpiece that will be treasured by true sword collectors for generations.